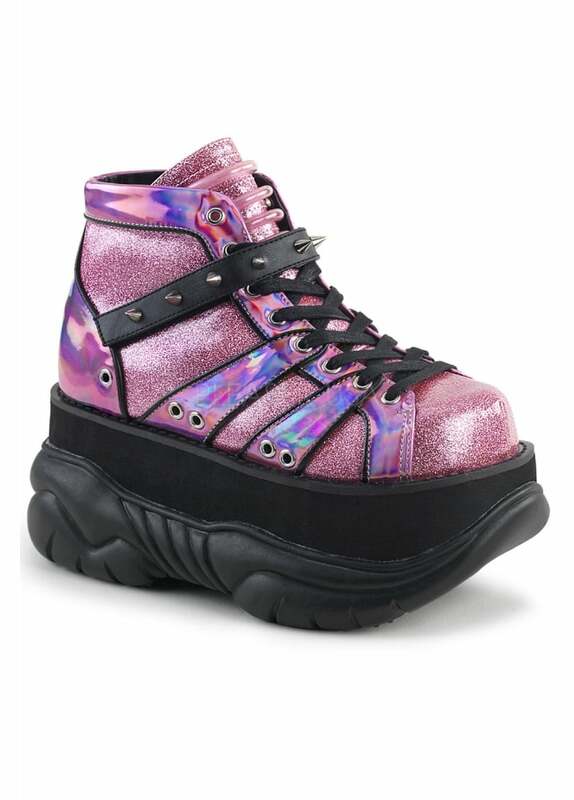 Demonia's Neptune 100 Pink Glitter Platform Boot is a cyber platform trainer boot. Get your rave on with this cute platform which has UV reactive tubing on the tongue and a spike studded black velcro strap. The alternative boot also has contrasting panels; some with glitter and some with a pink hologram effect. The boot has a lace up front and a 3" platform.